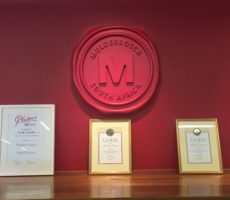 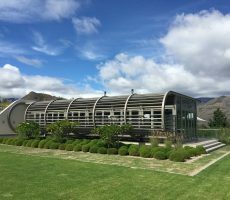 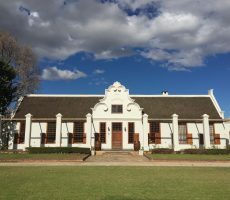 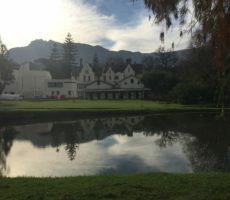 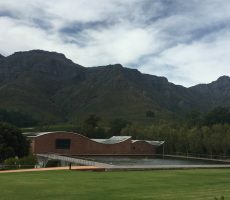 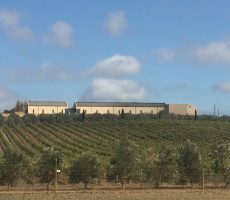 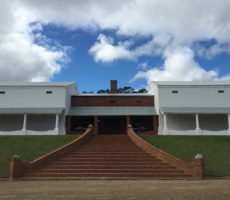 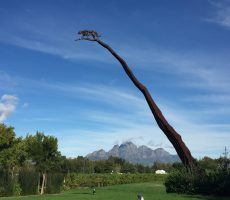 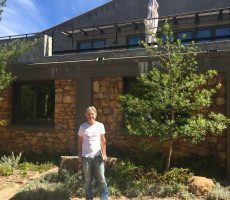 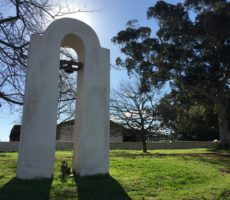 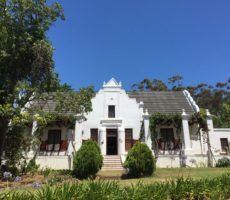 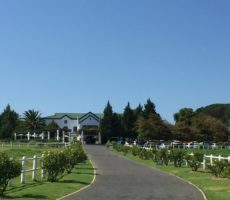 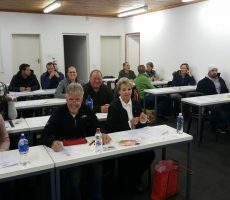 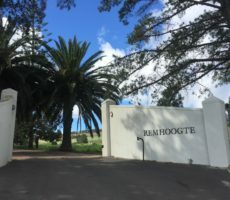 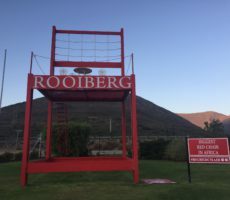 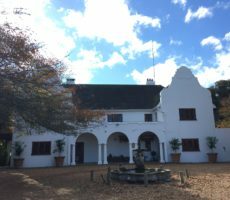 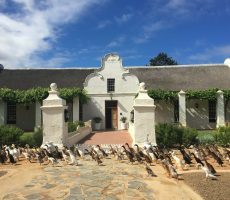 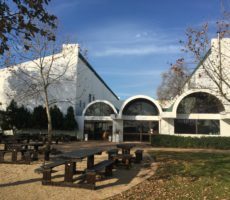 I drove past Remhoogte wine estate just 2 days ago en route to Morgenhof estate for the first day of my Cape Wine Academy Diploma Course. 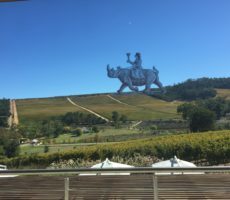 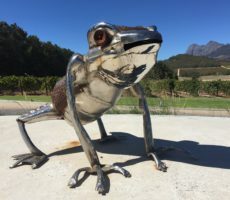 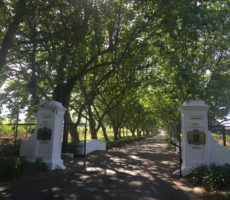 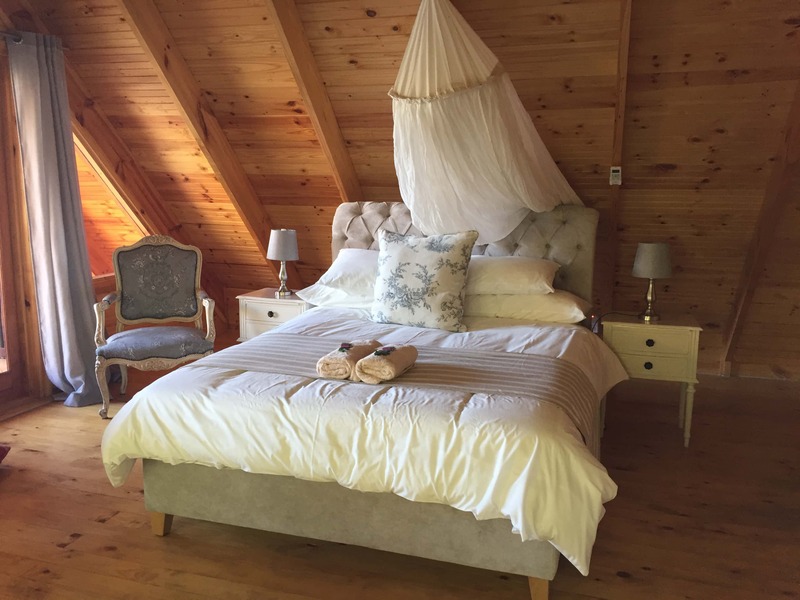 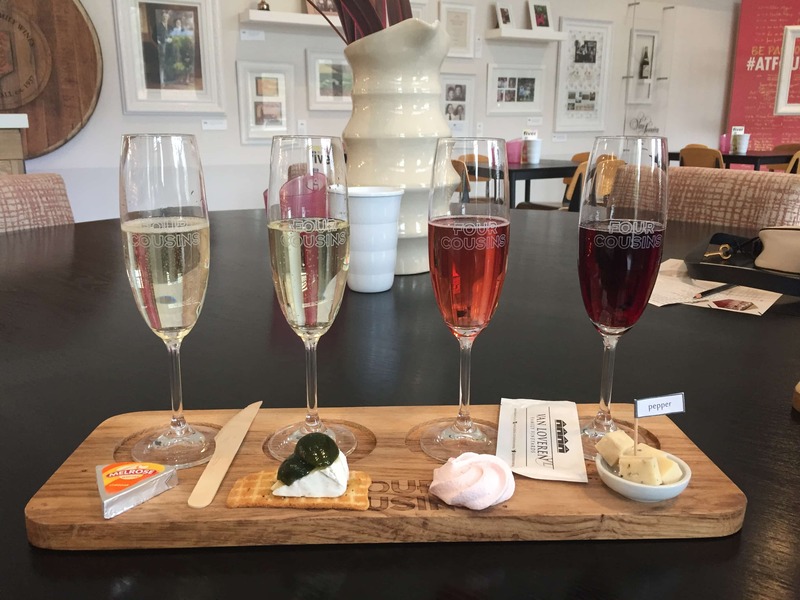 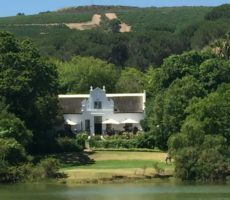 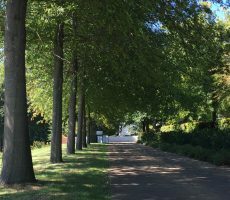 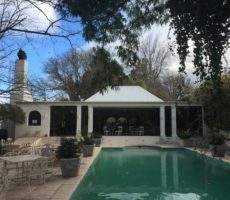 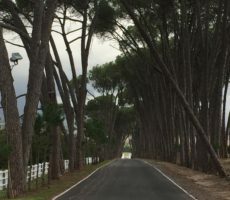 The R44 North of Stellenbosch is full of glittering estates and all within a few kilometres of each other: Edgbaston, L’Avenir, Deux Frères, Muratie, Delheim, Kanonkop to name but a few. 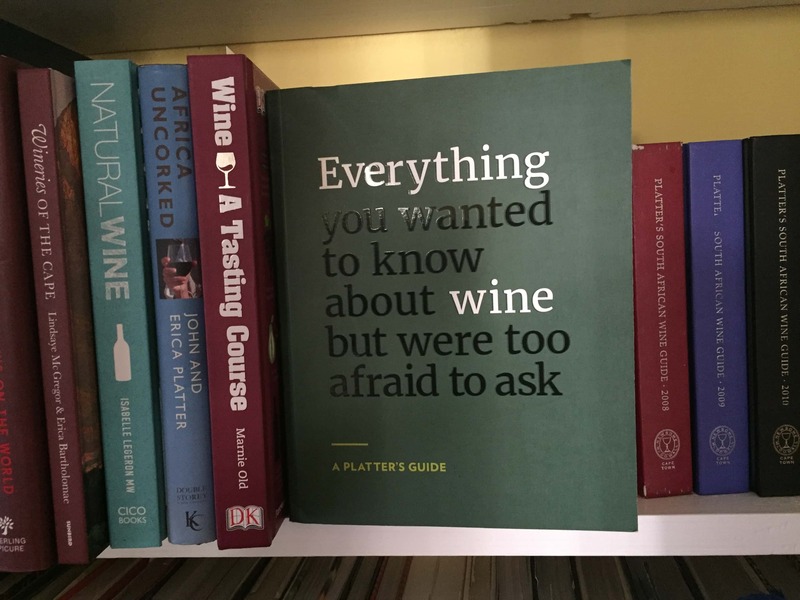 One could easily spend an entire day tasting with almost no travel between them. 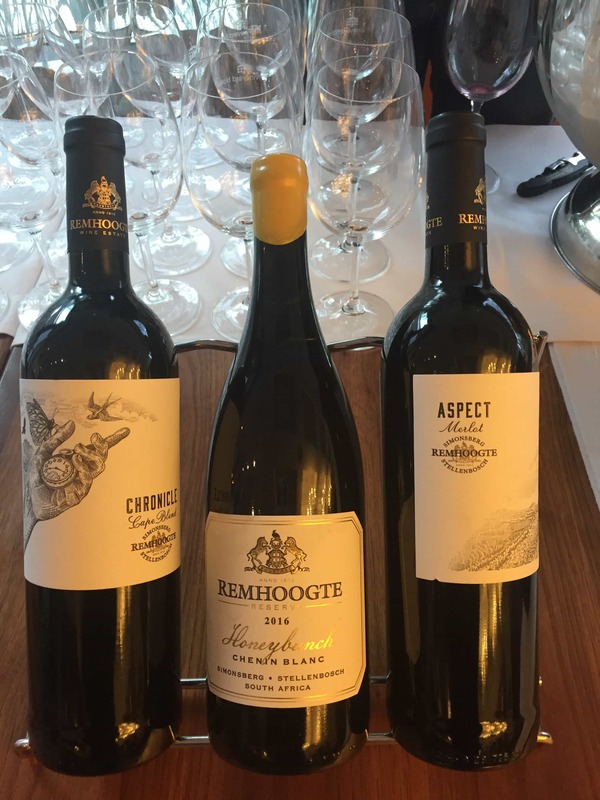 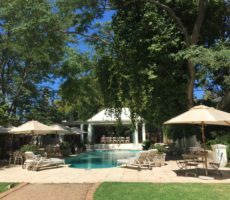 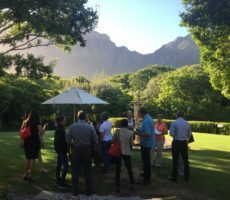 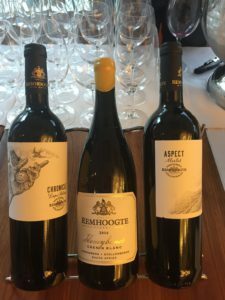 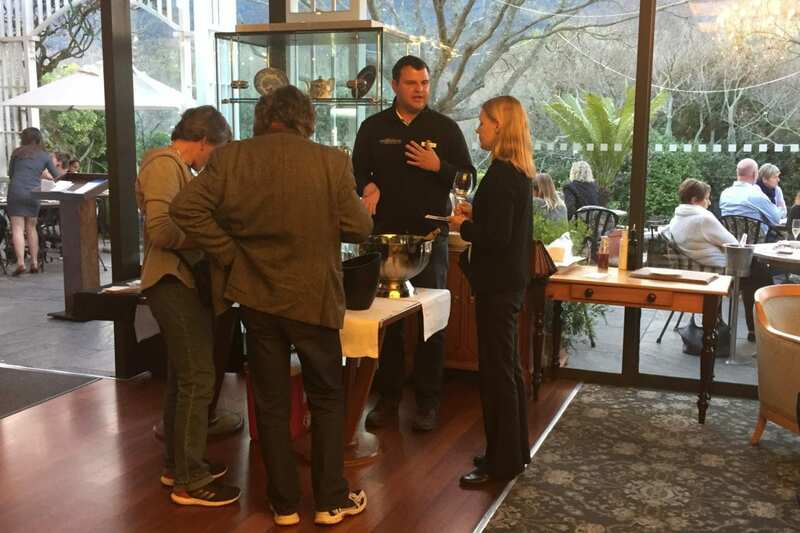 Remhoogte is one I have yet to visit but I am wanting to after today’s Monday event at the Vineyard Hotel. 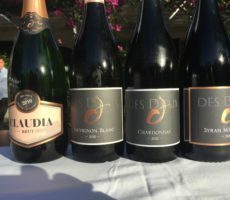 Diaan brought just 3 wines for tasting. 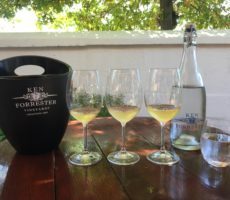 The first, a lightly wooded Chenin Blanc (10 months in 2nd/3rd fill French oak) from the flagship Reserve Range, was my favourite. 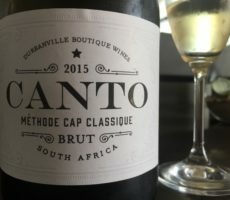 An inviting medium gold in colour, deeper than many I have sampled, the grapes are from exposed honey-gold bunches from 31 year old vines grown in a single 2 hectare block. 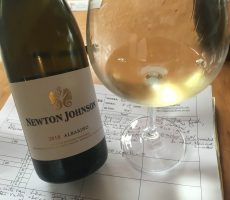 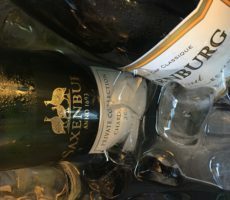 This wine was bursting full of flavour – pineapple, ogen melon, baked apple, light citrus and sweet lemon – and was smooth and slightly creamy on the palate. 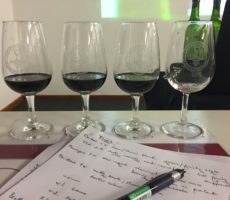 I could taste the slight sweetness of botrytised grapes too. 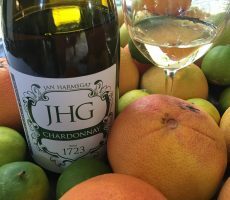 Moderate acidity and alcohol seamlessly balanced the alcohol content. 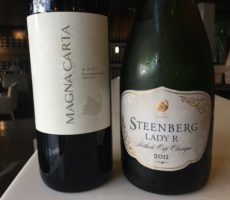 Both reds came from the Premium Range. 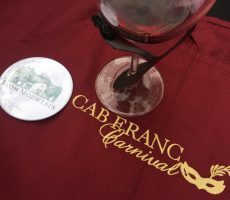 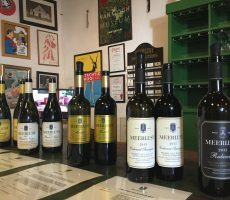 I preferred the single variety Merlot to the Chronicle Cape Blend. 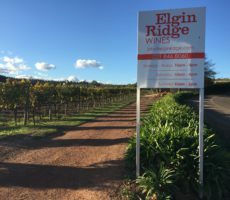 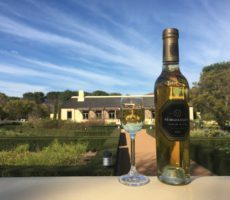 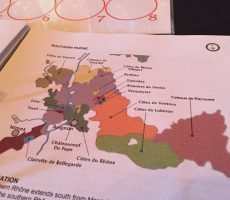 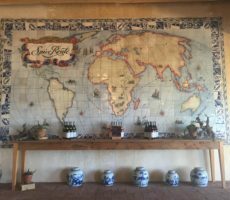 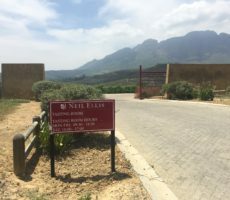 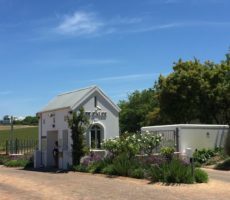 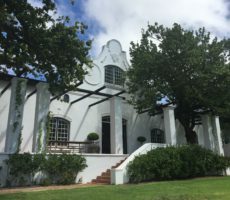 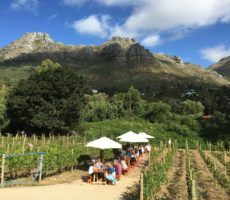 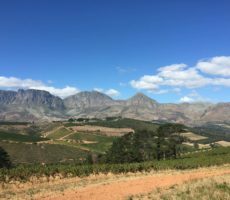 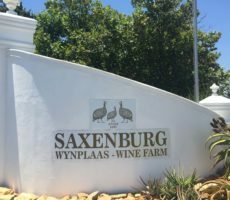 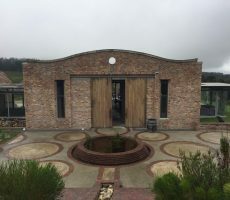 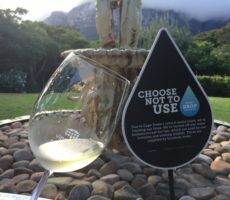 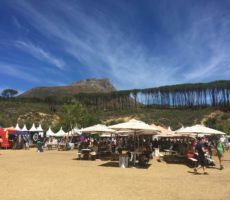 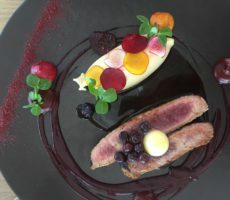 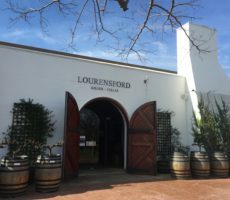 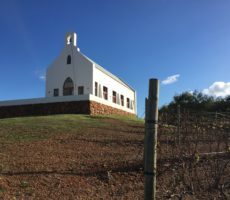 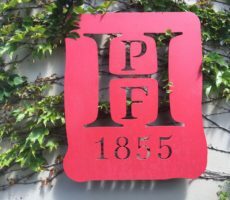 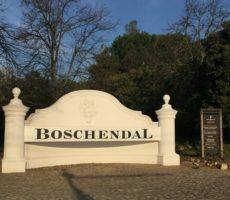 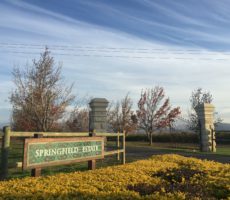 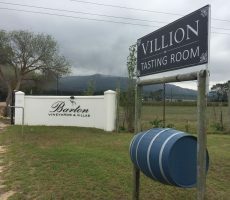 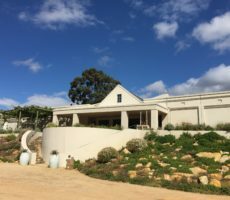 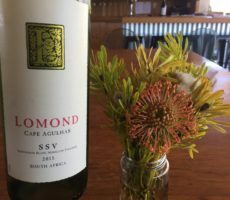 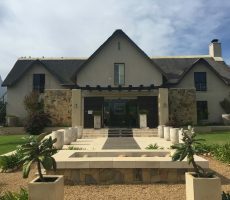 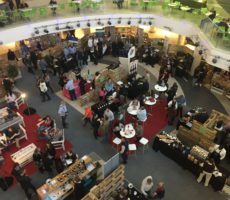 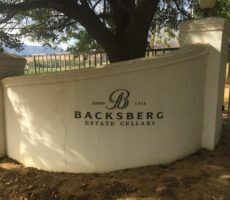 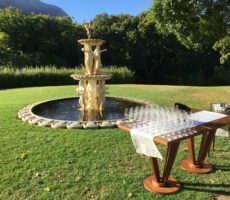 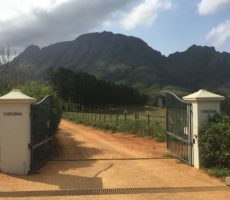 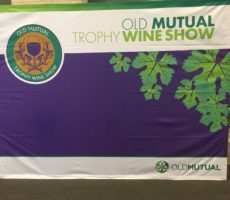 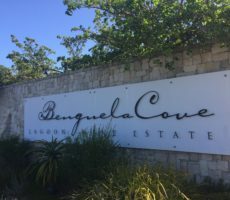 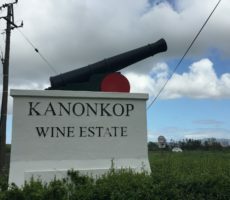 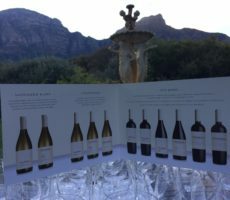 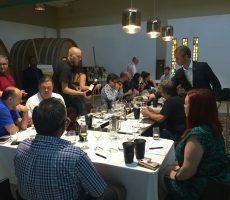 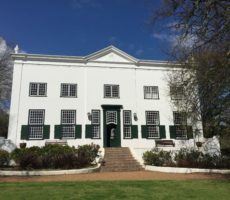 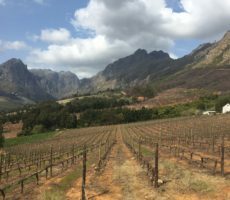 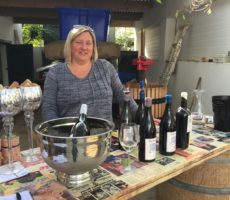 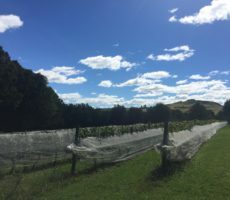 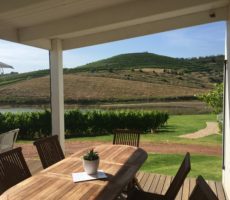 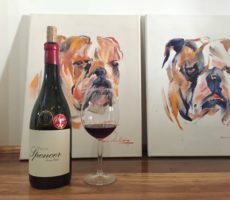 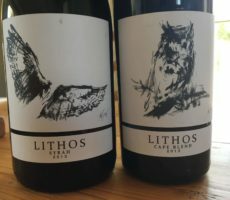 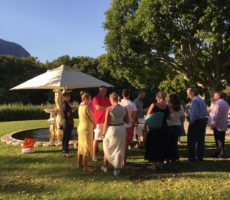 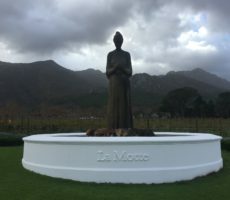 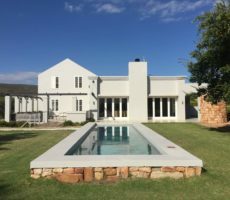 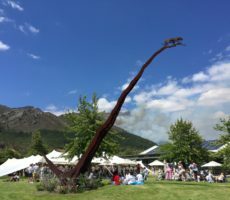 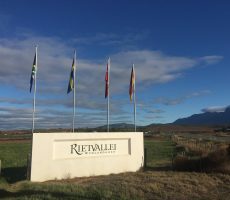 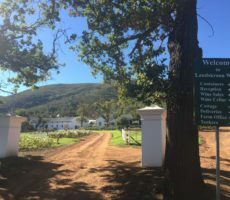 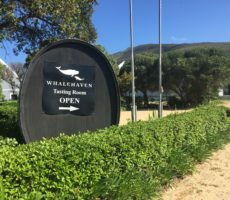 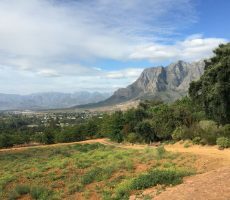 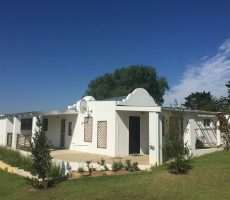 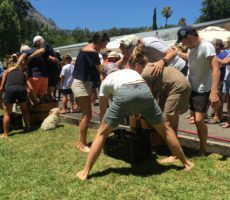 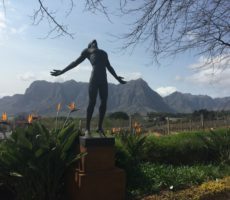 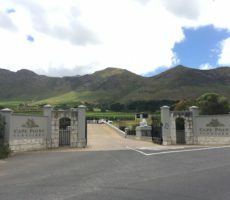 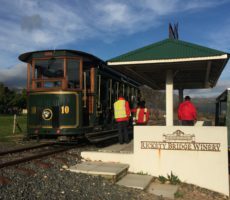 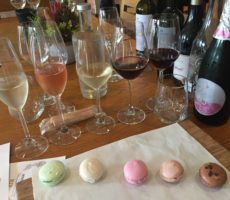 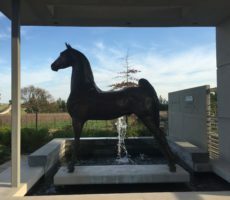 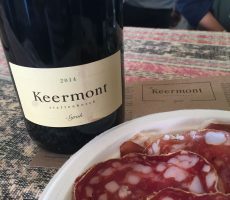 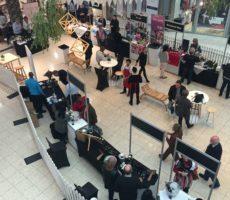 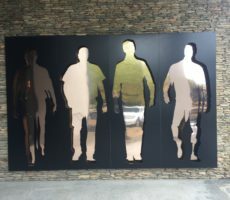 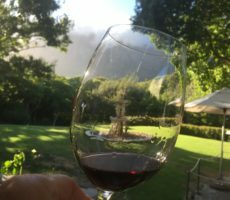 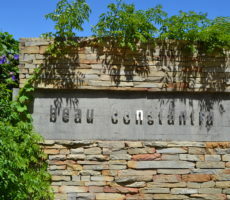 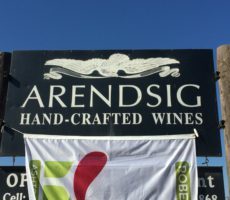 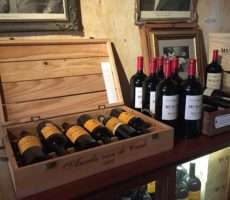 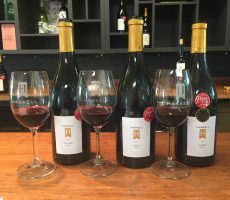 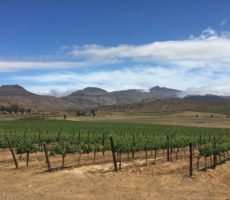 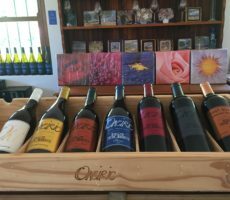 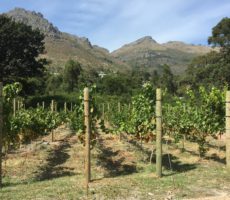 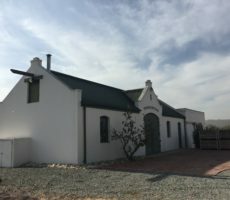 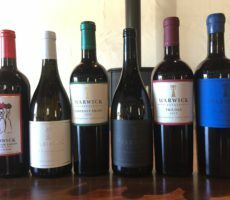 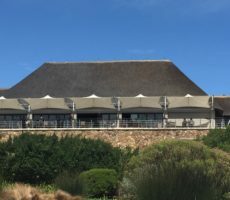 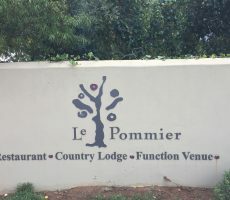 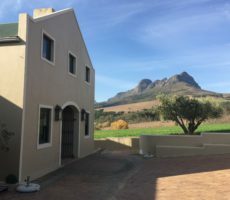 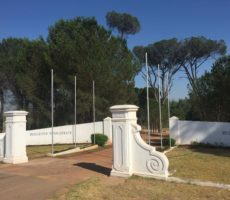 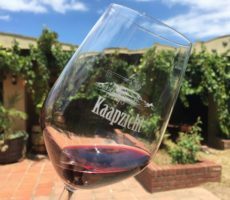 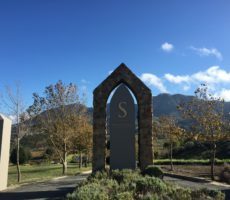 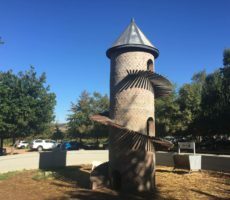 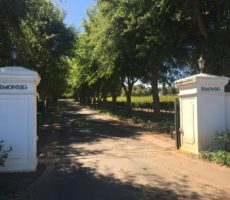 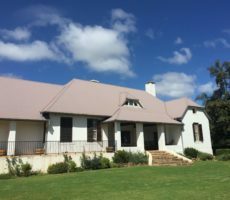 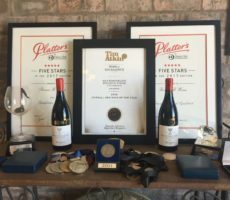 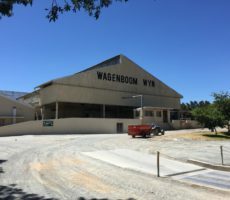 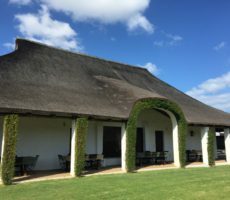 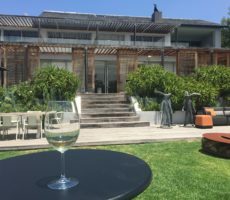 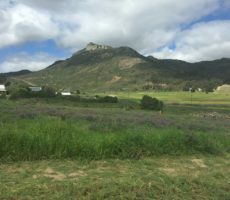 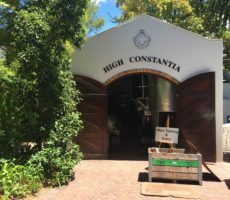 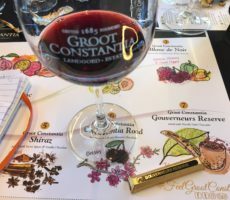 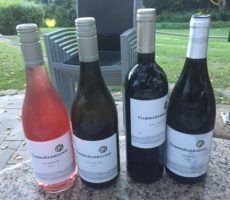 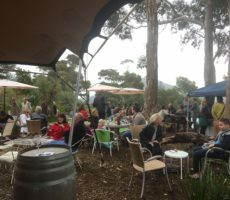 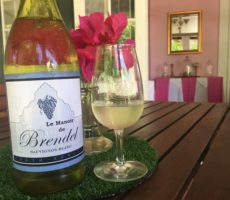 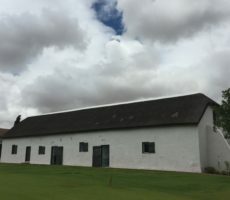 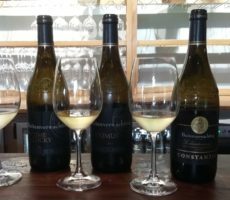 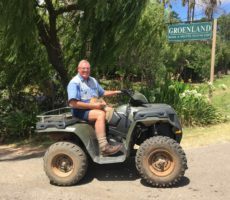 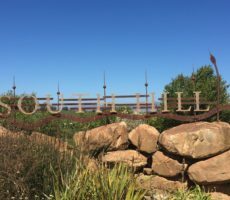 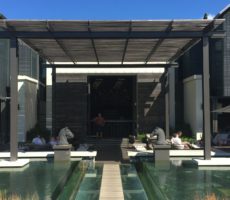 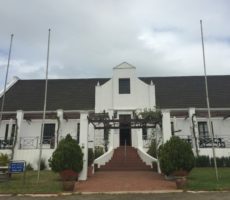 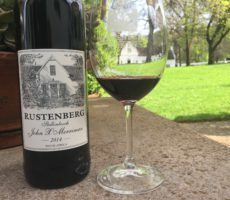 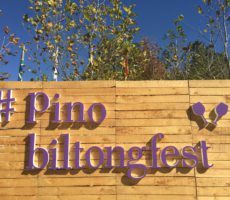 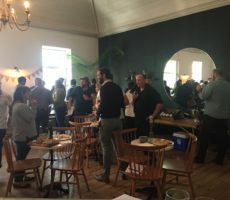 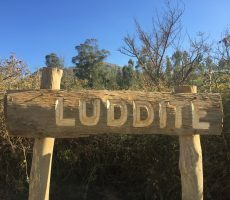 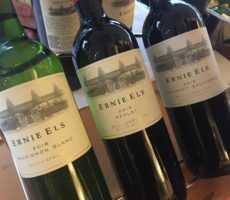 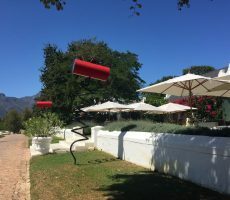 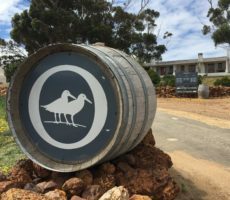 It is not that the Cape Blend, made with wines sourced from all 19 blocks and 8 soil types on the 55 hectare estate (25 hectares under vine), was poor. 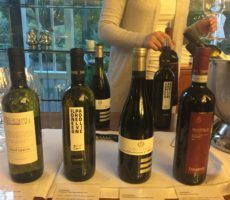 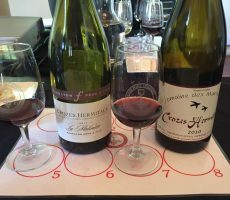 There was quality in the wine-making though I would have expected a little greater complexity of flavour from blending the 4 cultivars. 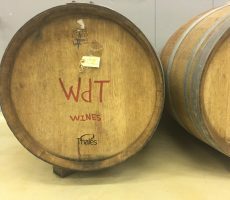 Nonetheless, the tannins were well integrated (26 months in French barriques) and the wine had good acidity for a firm finish. 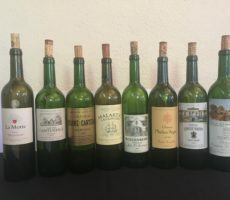 The Chronicle will make a decent food wine. 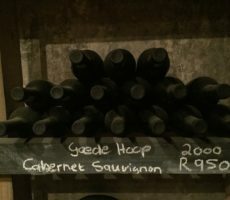 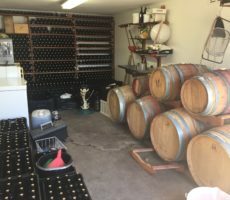 I did not want to waste any of the Merlot, wild yeast fermented from grapes grown on the highest South-West facing block on the estate and hence the name ‘Aspect’. 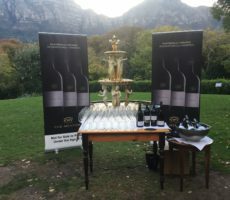 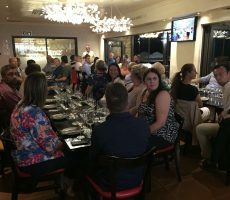 The wine showed classic red berry and currant Merlot flavours that followed through well to the palate. The fruit flavours matched the oakiness from 24 months in French oak (30% new oak) to give a light but powerful palate. 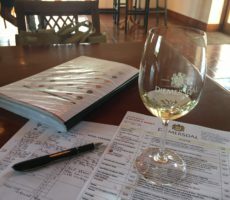 A good tasting does not have to involve many wines and so Remhoogte proved today. 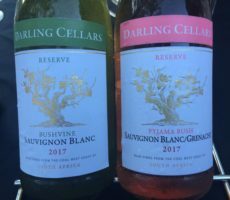 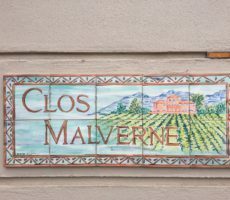 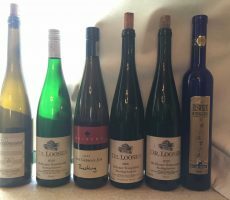 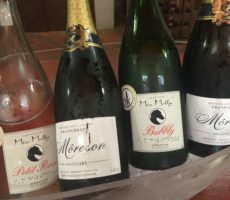 There was a simplicity of elegance to the wines that shone through to make for decent drinking. 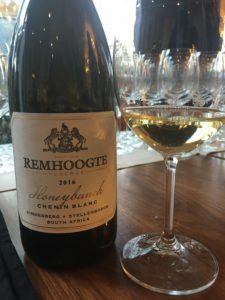 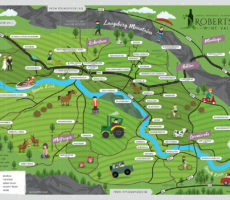 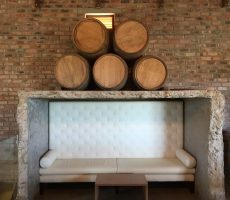 Remhoogte estate is yet one more that I want to visit and to taste the entire range. 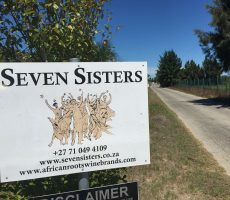 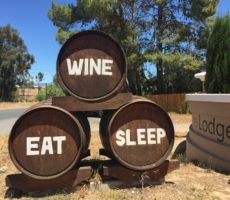 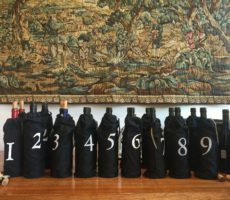 Meanwhile, I would be more than content to buy a bottle of their wine without tasting – and that is something I rarely say.